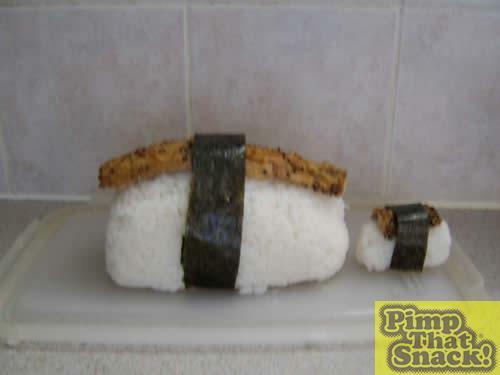 Estimated cost : Mackerel - 50p, seaweed - pennies, sushi rice - ditto. 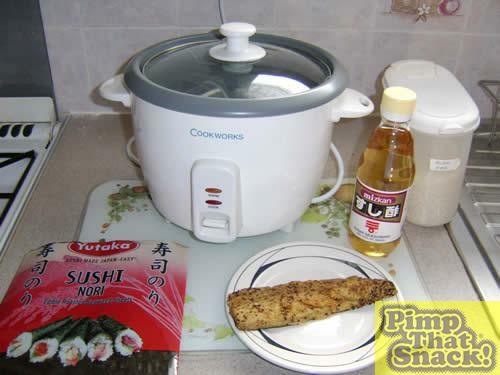 Rinse the sushi rice well and cook in a rice cooker/pot as normal. 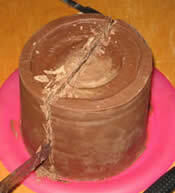 Once done transfer to a shallow tray, add a couple of spoons of vinegar and fold in, leaving to cool. 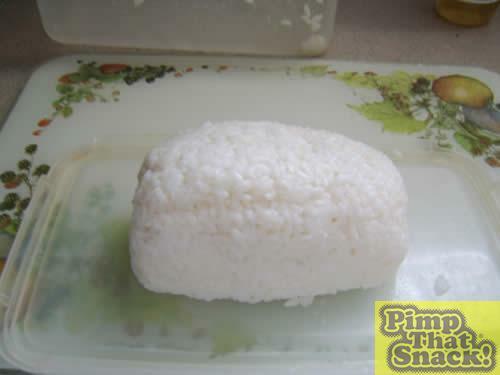 It takes years to learn to shape nigiri properly, but a fairly good approximation can be made to create the thumb shaped rice. 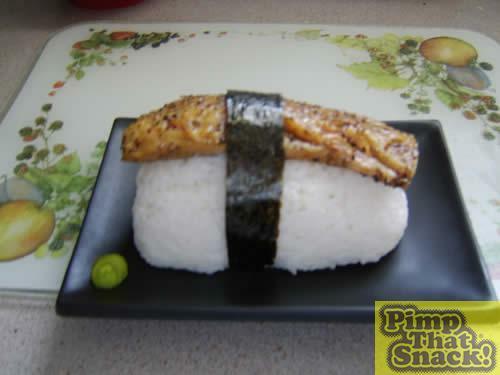 Place the mackerel fillet over the top, along with a decorative ribbon of seaweed (optional). 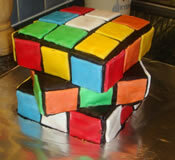 Compare this big guy with it's little brother. Serve on a funky dish with wasabi and soy. 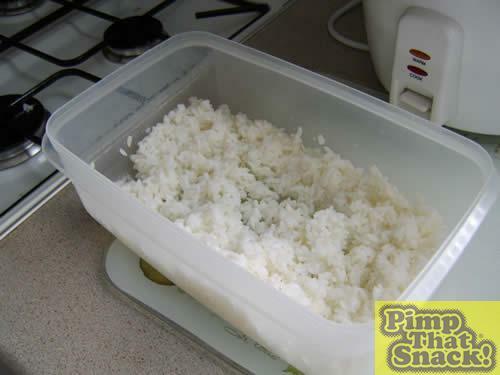 Alternatively, as it's not going to be easy to pick up with chopsticks, break the rice and fillet down to normal size sushi.